One of the reasons I originally fell in love with the Witchy Cottage we now live in was the quaint floral garden in the front. The previous owners had just barely put it in before moving and it was a lovely addition to our home. In fact, one of the first pictures I took was of of said garden and it's beautiful attractions. Unfortunately, despite my love of plants, I had little time to identify the plants before winter hit. Then, once spring came around, I was so busy with work that I felt like I'd never get to it! This week, I'm taking a vacation. That means I finally got to sit down with my new garden one-on-one. Here's what I discovered! So-called for its orange "eye" in the center of each floral cluster, this summer lilac is a butterfly-attracting (and, perhaps more important, bee-attracting) bush that's easy to maintain in warm, dry climates. It reaches its peak flowering in mid- to late- summer. It can be trimmed at any time, but may act fickle to such trimming. Never fear; this is a hardy plant and will always bounce back from any pruning needed once it's firmly established. Because the bush can be invasive, it may need to be deadheaded (cut just before the flowers start to whither so as not to spread seeds to unwanted places). 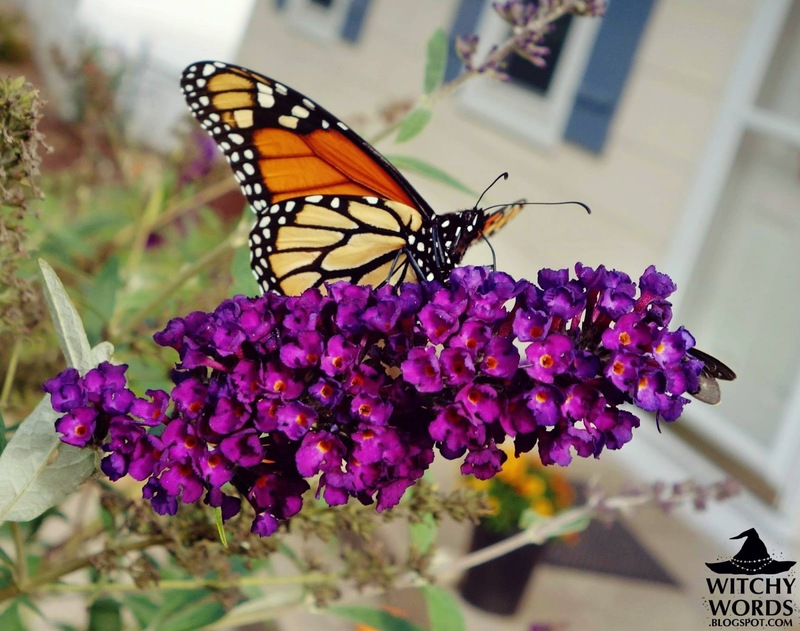 In some states, deadheading for buddleja dividii is required. However, it isn't where I live. Instead, I let the flowers whither on their own last year and received a beautiful new bush right in its place come spring! The Orange Eye Butterfly Bush doesn't have any specific magickal connotations. However, while it's not a true lilac, it can be associated with the lilac symbolism of early or first love. Mealycup Sage is another butterfly- and bee-attracting plant perfect for a butterfly garden. 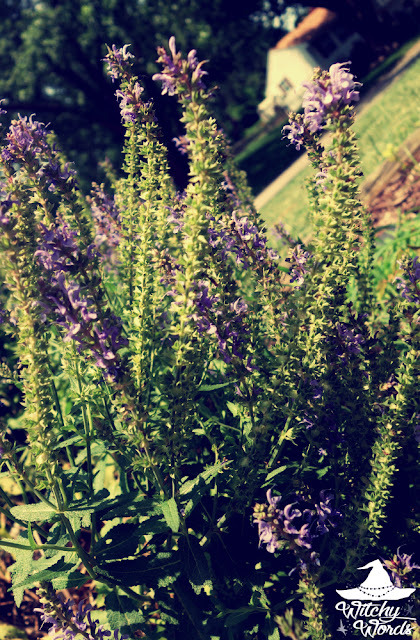 While it is a sage, it is non-aromatic, and thus considered non-medicinal. That being said, I had both a strong scent and flavor from the sage leaves on my Mealycup and decided it would still be great to dry into bundles for cleansing. Particularly because many sages native to California traditionally used for "smudging" or cleansing are endangered, growing your own and using many varieties not typically used for cleansing would be optimal. Here's a great tutorial for how to bundle your own sage. 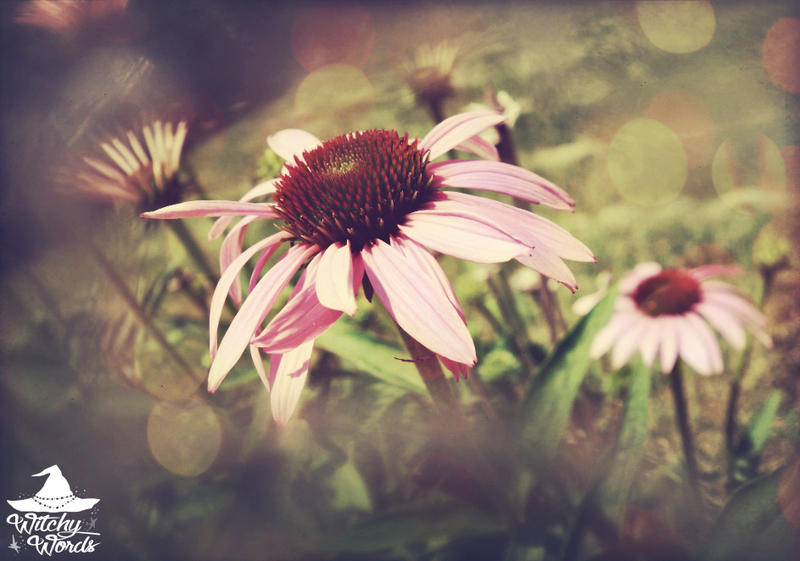 I'd be highly surprised if you haven't heard of Echinacea, more commonly known as coneflowers. 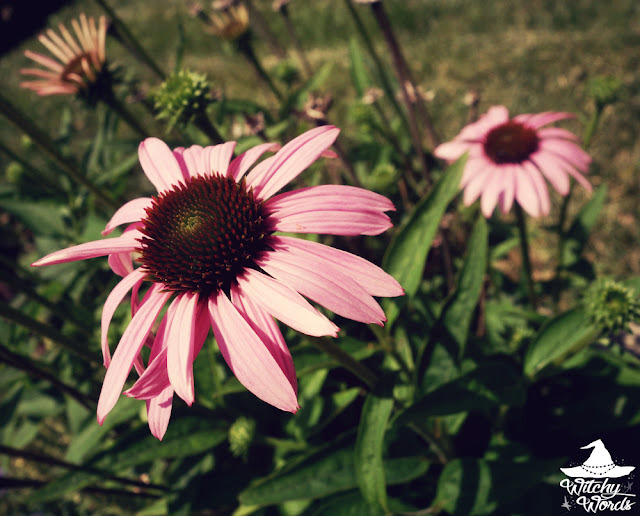 Used in everything from tinctures and salves to teas, this is a flower perfect for any garden. This one was definitely not here last year. 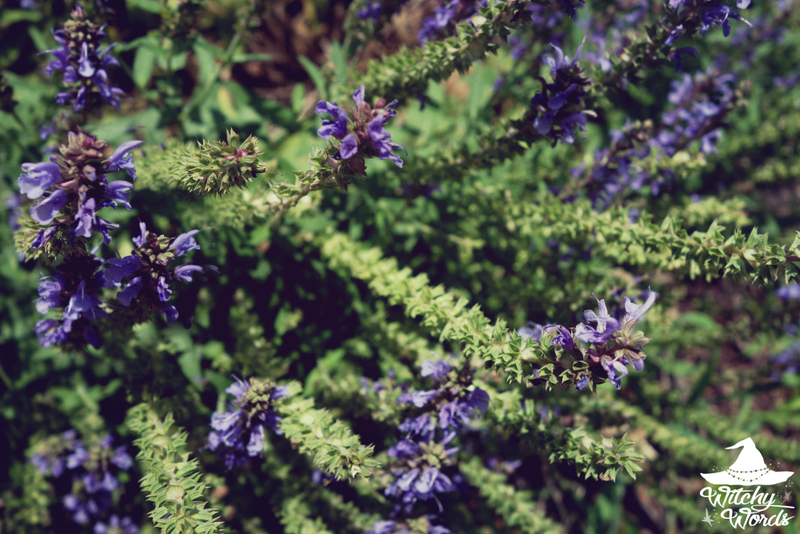 Or at very least, it stayed short, didn't bloom and blended in with the sage in front of it. The latter is highly possible as first year Echinacea is too young and too mild to be harvested properly. However, once on its second year, the flowers can be harvested just above the top pair of leaves or the leaves themselves can be plucked as needed. Here is a great guide on how to properly harvest and dry Echinacea for use. I spent an immense amount of time trying to identify this mint. 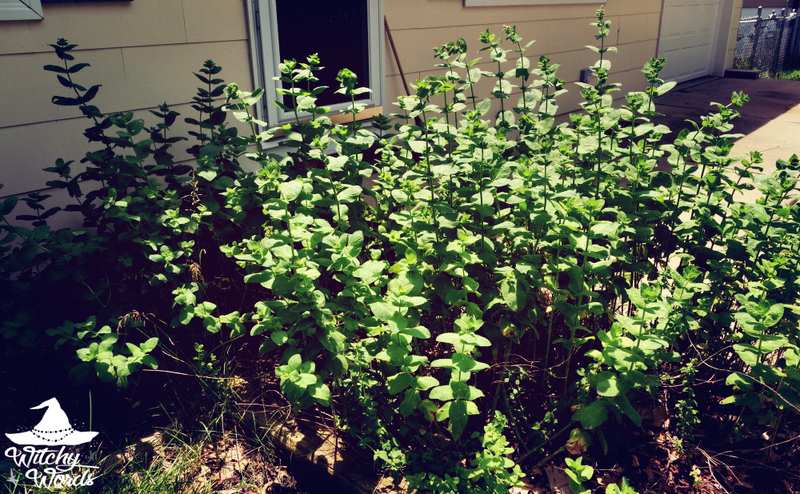 Fellow CF member suggested Lemon Balm because it had a slight tang to its taste, but it reminded me more of spearmint. With more research, it became clear: This was apple mint! Apple mint differs from other mints in that it combines a fruit flavor with a spearmint base. Also known as woolly mint, its rounded leaves are covered in a dense fuzz, which can provide an interesting texture in salads. It can grow up to an impressive 3.25 feet tall, and, like most mint, spreads rapidly. It should be contained. 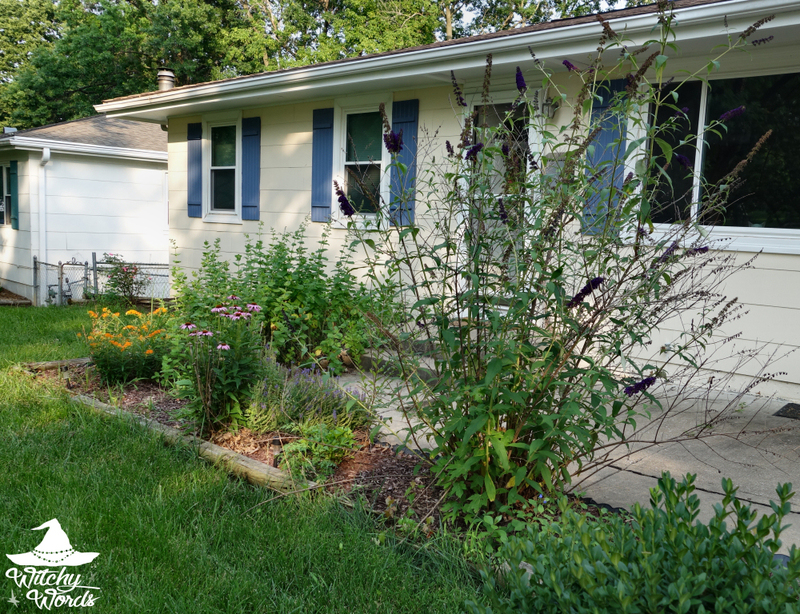 Unfortunately, the previous owners of our house did not contain it properly, so we'll have to weed it back. 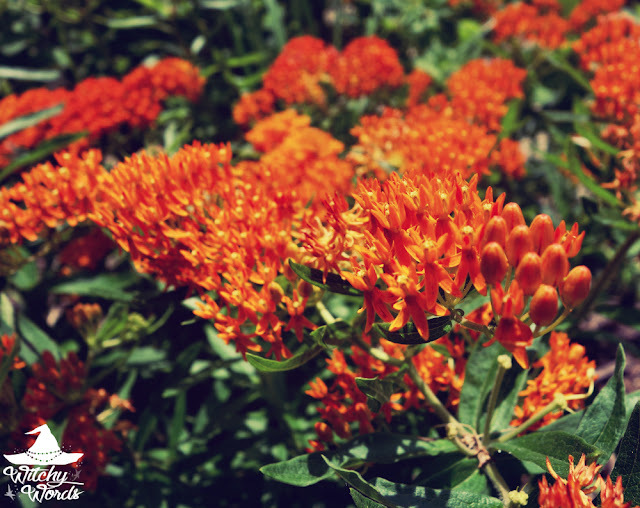 Commonly known as Butterfly Weed, asclepias tuberosa is a type of milkweed that attracts butterflies based on its vibrant colors, dense flowers and nectar. Despite the fact that this plant seems to lack the toxic coating of over milkweeds, this plant is not an herb for use. However, it sure is pretty to look at! By the way, if you struggle with identifying plants, I have an app for you! I wasn't contacted to promote this app; I just randomly downloaded it to help identify our mint, tested it out on known plants and it was fantastic, so I thought I'd share it with my readers. 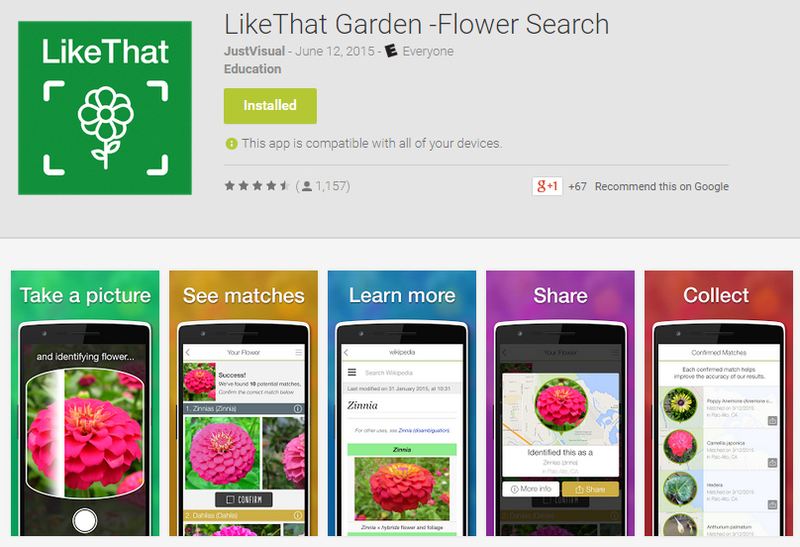 LikeThat Garden is a nifty application that's available for both iPhone and Android. All you have to do is take a clear picture of the plant you're trying to identify and it'll give you a list of possible matches. You can browse the matches to see what pictures look most like the flower you're trying to identify. While it gives you a list of 5-10 potential matches, I've found that it usually gets it right on the first try. 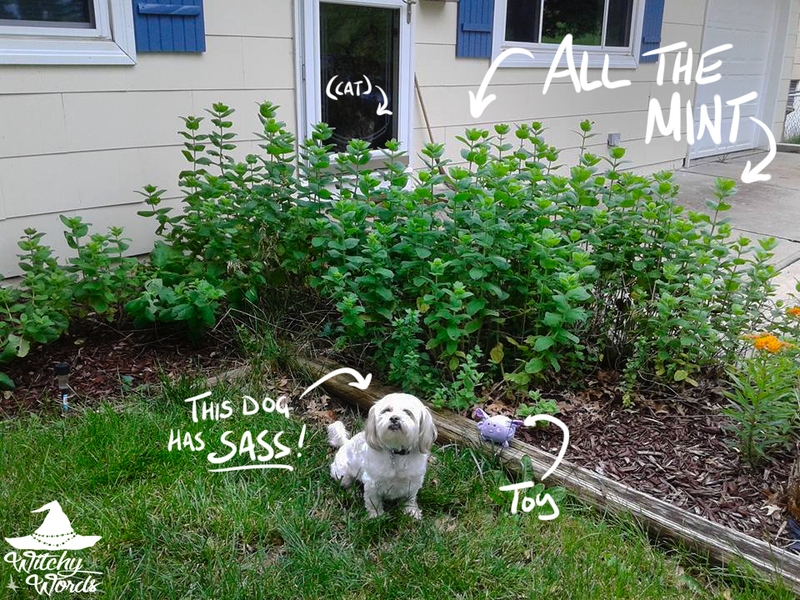 Though it says it's for flowers, it successfully identified a number of non-flowering plants in and around my yard. It was pretty amazing! 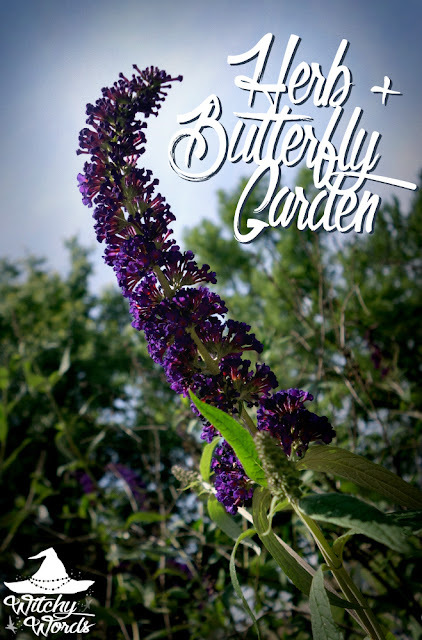 So there you have it: My butterfly and herb garden here at the Witchy Cottage! Until next time, readers! The app looks super useful. 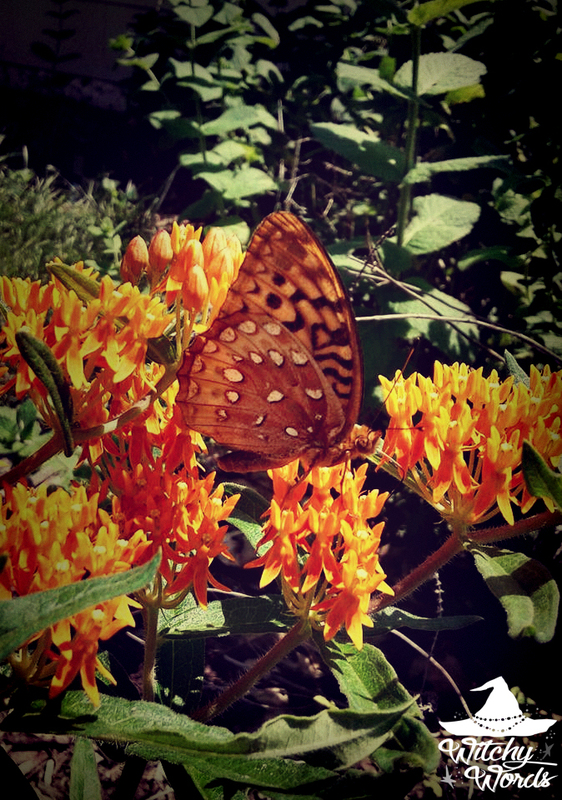 Now I want to plant my own butterfly garden. Gorgeous! It truly is. I actually just used it today to identify some wildflowers growing in the backyard. It's pretty nifty. Thank you so much! These bulbs will be planted each period of time to produce flowers all summer. Spring bulbs manufacture flowers from the first summer till the primary frost in time of year.Your native garden center can have a large vary of flowering plants that may had best in your space.